Kevin Durant made his return to the city that gave him his start making it the first time in 10 years an NBA game was played in Seattle. Before the Warriors tipped off the preseason tilt against the Kings, Durant had a message for the crowd at KeyArena. That message came with Durant rocking a Shawn Kemp jersey. Kemp also spent his rookie season and the next seven years of his 14-year career with the SuperSonics. 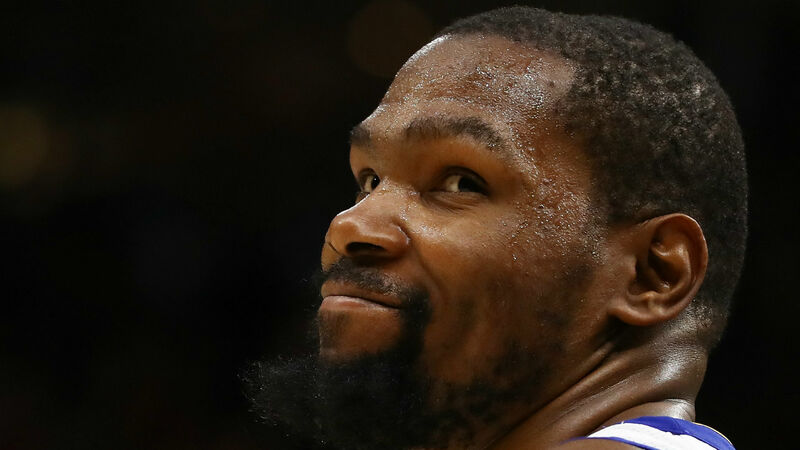 “First off, I want to give a shout out to the Seattle Storm for holding it down and winning a championship — much love,” Durant said. “On behalf of myself, the NBA and my organization and teammates, we’d like to thank you guys for coming out and supporting us. Watch the heartfelt opening here. Durant kept the jersey on through player introductions.